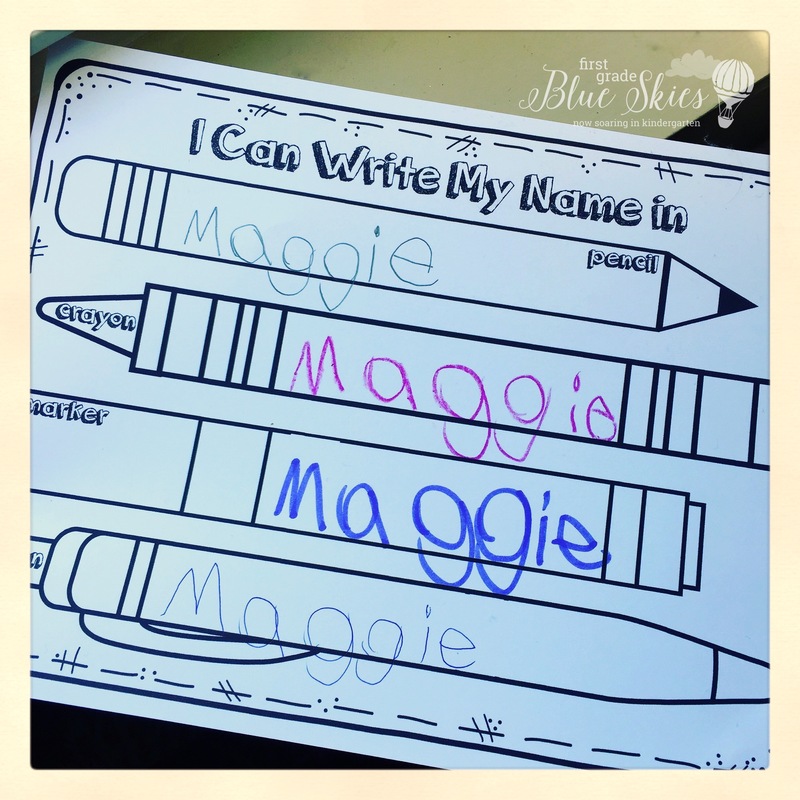 Name Writing Practice -Handwriting Ideas and Freebie: With the start of a new school year quickly approaching, I start thinking about what we will be doing those first few weeks of school in Kindergarten. Learning to write your name is a BIGGIE. Some kids coming writing their name on the lines, complete with upper and lowercase, while other kids make scribbles for their name. 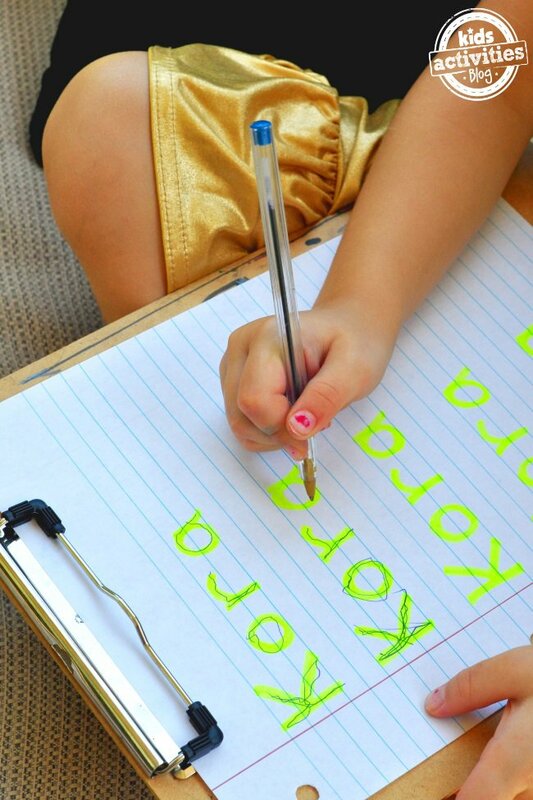 Providing practice with writing our name is pretty important for these kids. We do a lot of games to recognize our names in those first few weeks. 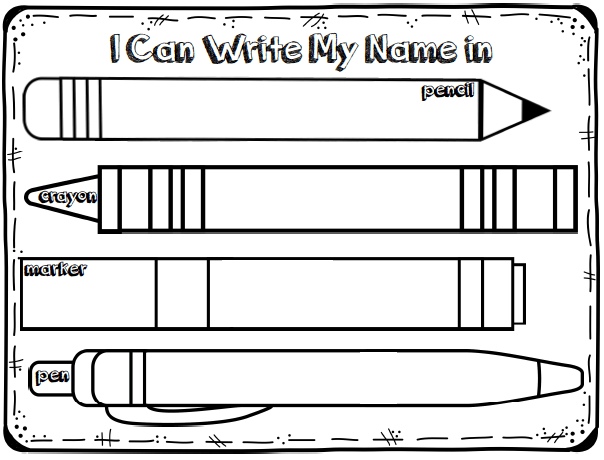 Another activity includes practicing writing our names in multiple ways, especially at the writing station. Although the writing station’s ultimate purpose isn’t handwriting, I don’t think it hurts to have some of these pages there for practice. 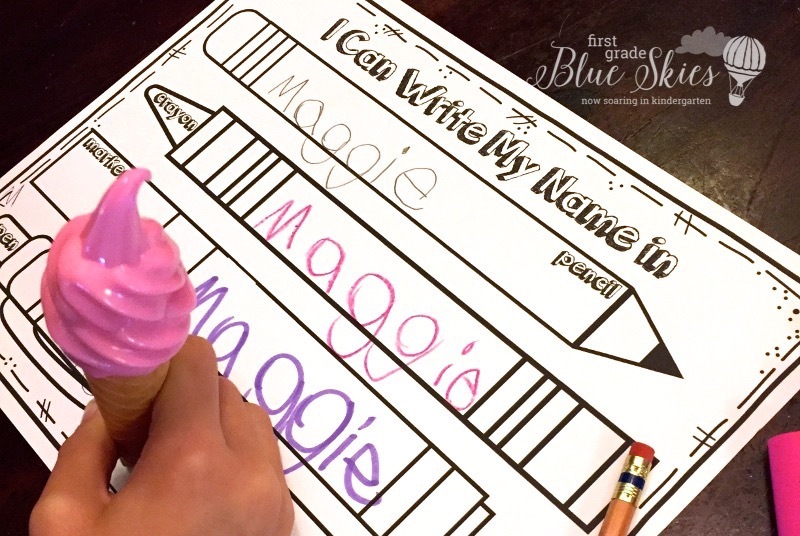 I am sharing some of my favorite resources for practicing writing our names and even a freebie of my own. This freebie come from Mrs Jones Creation Station. I used it A LOT last year. 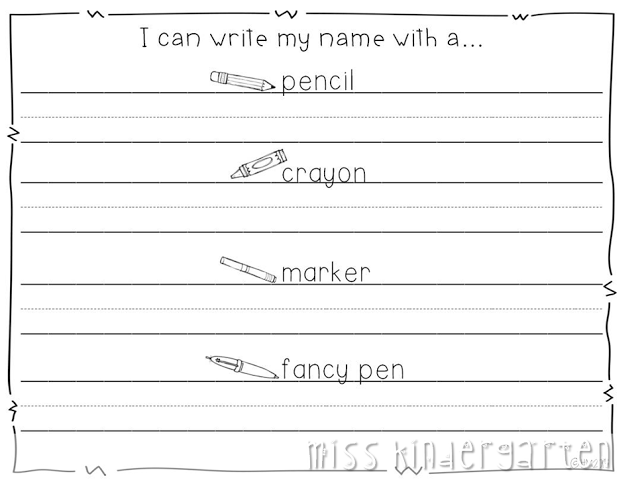 You save it and then update it with your students’ names, in all caps or upper/lowercase, place it in a plastic much and you have immediate handwriting pages! This is too cute and it’s free! It’s by totschooling and is super simple. 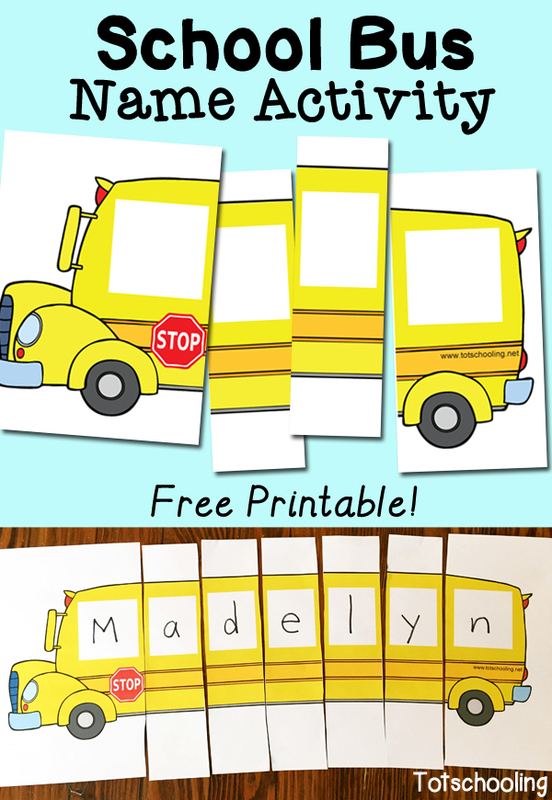 You print out the bus, write the letters it the child’s name, and you have a name puzzle! 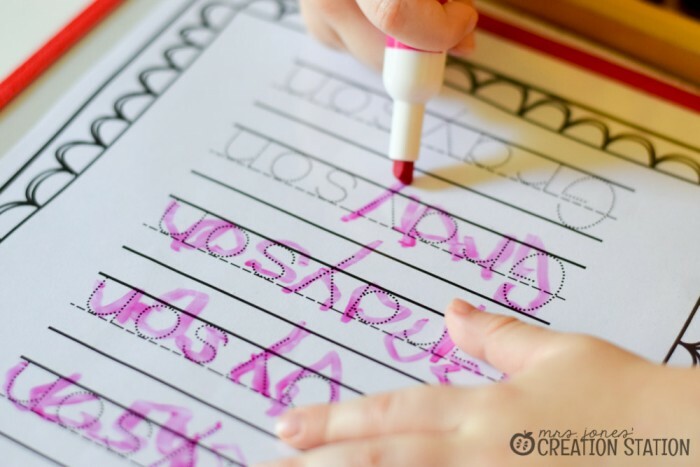 I love this idea from Kids Activities Blog, which has SEVERAL great name writing ideas in the same blog post. This freebie is by my friend Miss Kindergarten and offers another way to practice, without the large clipart on my freebie below. This is my take on the many name writing practice pages that I have used over the years. If you like it, you can find it on Teachers Pay Teachers for free! 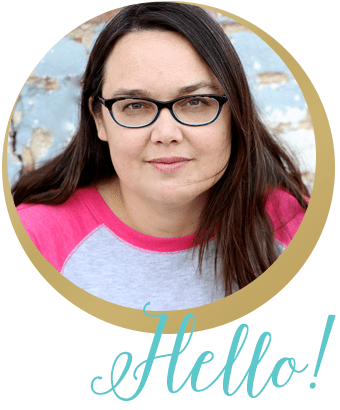 Hi, thank you for sharing these wonderful resources. I wasn’t able to find a schoolboy name tracing you are showing here. Could you please email it to me: mfmidtex@yahoo.com. Thank you!